The Nigerian Senate may have concluded plans to suspend Senator Ovie Omo-Agege of the All Progressives Congress (APC) representing Delta Central Senatorial Districd, over his involvement to ensure that the Senate’s plans to override Buhari’s veto on the Electoral Act Amendment Bill fails in the Senate. Although the Upper Chamber is allegedly acting based on the statements credited to him that the passage of the reordered sequence of elections in the amendments to the Electoral Act was targeted at President Muhammadu Buhari. 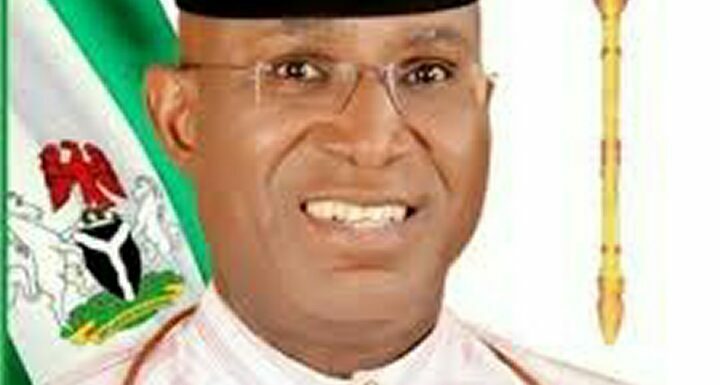 Omo-Agege is said to be the Secretary of the pro-Buhari senators and and allegedly mobilizing support against the leadership of the Senate to ensure that the move to override President Buhari fails in Upper Chamber. Meanwhile, Senate President Saraki’s die-hard loyalists are not happy with Omo-Agege’s behind the scene roles, despite having apologized for his wrongdoing during plenary. Recall that when Omo-Agege appeared before the Senate Committee on Ethics, Privileges and Public Petitions, he kept mum except saying that the issue is already in court. Omo-Agege is also touted to have been involved in mobilizing support for the decision of President Buhari not to support the extention of Odigie-Oyegun’s tenure , an action that has further deepened the divide in the Senate Red Chambers.